Last week was birthday week in our house. And, as much as I love planning parties, I don’t mind a break now and then. So, I was thrilled that one of my daughters requested to have her party hosted at a martial arts facility to which she had earned a free party. Before I share about our wonderful experience let me give you a peak into the behind the scenes activity. I called and set up a time for the party and a couple days later received a phone call from the gentleman that would lead the class during the party. He asked, “Do you homeschool?” Of course, I told him we did. To which he responded that he had been homeschooled through high school. That got me excited right off the bat. But, that was only the beginning. Kim’s Black Belt Academy hosted a well organized party. They took care of the RSVPs, followed up with people we had not heard back from and kept me in the loop every step of the way. They made the cupcakes and lemonade, and filled the pinata. They kept the kids happy and moving for an hour and a half and even gave me the list of gifts and givers. So, from the party stand point this was a great place to go. All the girls had a great time and they learned some new skills. Most of them had little or no martial arts experience, so this was a first for them. They all did a great job giving it a good effort and the instructors really helped them do their best and feel comfortable. Oh, and they even video taped the party and sent out the video via email. How great is that? I wanted to share about this not just so you would know about a great party place, but because they would like to start a martial arts class geared toward homeschoolers. After the quality experience we had with everyone there I was happy to share about this opportunity. If you are wondering if this could be for you they even have a free trial option. You can set up a time to have a private lesson and get comfortable before you actually join a class. Many of these came up in just the short time that we enjoyed our party there. A series of classes would just deepen the growth in these areas. 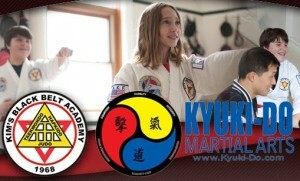 If you are looking for something fresh to add to your physical education for the upcoming school year I would encourage you to check out Kim’s Black Belt Academy. 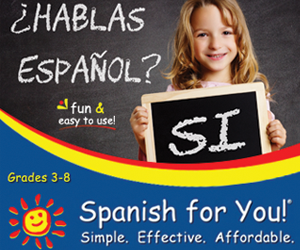 They have two locations, one in downtown Elgin and the other on the west side of the city, both with the same focus of building confident kids.